Here’s reality. Number 1 fear that moms struggle with today – “that something may happen to my children.” The truth is, no matter where we live, we can’t get away from this very sad fact – crime, wrong influences, danger – are everywhere around us in this world. And though we don’t need to walk in a spirit of fear, or allow its controlling grip to hold us trapped, we must walk in awareness of all that lingers around us. But here’s another truth. Most of what we worry about never even happens. The balance is…focusing on what is true…giving our fears to God…letting go of our need for control…pressing in to trust Him more. God is ever-present, constantly with them. He loves them even more than we possibly could. Obviously, it’s normal for parents to want to protect their kids. Where we need to be careful is here – we don’t want to allow our own fears of “what could happen” to so control us, that we allow that very anxiety and worry to slowly seep into our children’s hearts as well. I wish I could say that if we just follow these words and prayers, nothing bad would ever happen to anyone we love. Of course we can’t know that. But we can be assured He is still with us, no matter who or what we encounter in this lifetime. And we can take action with these things, then leave the rest with Him. 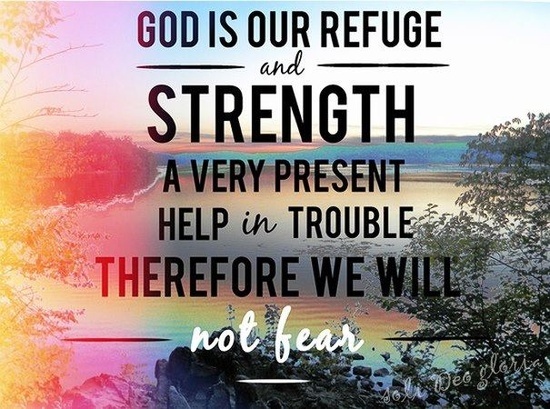 Believe – in His power and strength to cover you and your loved ones. Our God is mightier than any evil force in this world. There is great power in prayer and in the Name of our Savior. He is your greatest Defender. Trust – that He cares for you. For those you love. Every day. Constantly. Be assured, He is always with you. Many times, you may never even know the ways He has protected and shielded both you and your family from danger or illness. Pray – God’s protection and safety over your family, over your home, over your coming and going. Pray back to God His very words of truth. They aren’t some kind of magic genie words, like if you just say them enough, or in the right way, everything will be happy and safe. But they are powerful, they are life-giving, because they are His words. Teach – these words to your kids. You can’t always be with them, but you can empower them with words that they can pray and hold onto when they feel afraid. I will not live in worry. I will not walk in fear. I will not give in to anxious thoughts. As parents, we can’t see everything, be everywhere, or know all that goes on each day in the lives of our kids, but God can. He sees, and knows, and is there. And we can trust Him to take care of our loved ones, even better than we can. His hands are big. He is there. Always. Grace. Peace. 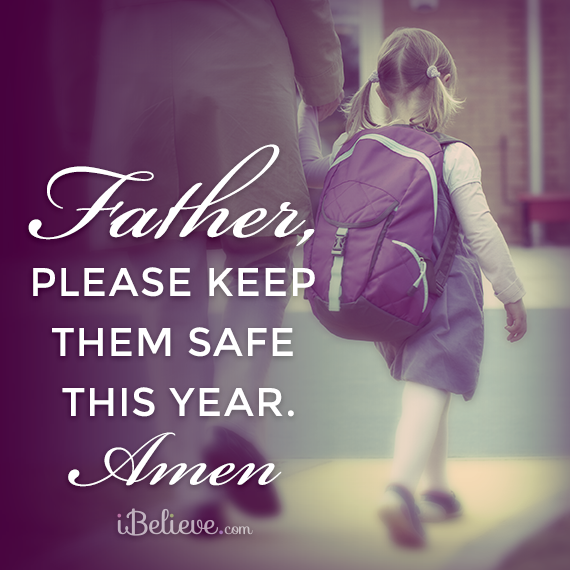 Thank you Lord for your protection, prevention and provisions for our children. Thank you for your help. May God Bless you in all you do. my name is Joyce, but now He calls me “ReJoyce! He is bringing forth Restoration, Renewal and Fresh Rest in knowing His Truth. As You give out to others, may God pour out over you and your house. This page has been a blessing for me and my children. I have been so fraught with worry it has been consuming my days and interrupting my ability to focus on the joy that is in being a mother. Thank you.